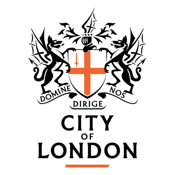 In support of culture and the arts, the City of London Corporation invites you to use this free app to find and enjoy the hundreds of events and attractions on offer in and around The City. Visit The City suggests itineraries based on your preferences and is automatically updated to keep you informed. The itineraries are in three broad time slots within a moving 7 day window (9am-12pm, 12pm-3pm, 3pm-evening). You can swipe between itineraries, or keep some events whilst swiping others, until you get the day out you like and put it in your favourites. You even get a weather forecast, maps, walking directions and live transport planning to help you get the most out of your visit.